These designs are in 5x7 and 6x10 sizes ONLY. 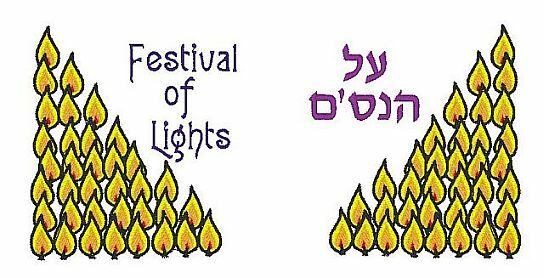 Two different candle/flame possibilities in two different types of menorahs - filled with stitches or for applique. 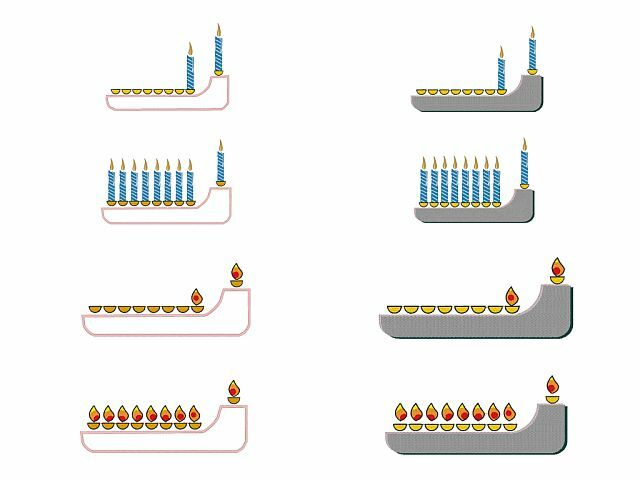 There is a separate design for each day of the holiday in each style - total number of design files = 32 variations. Also included are the two 4x4 designs of flames at the bottom of the page. Great for tableclothes and placemats, or a fabric book for a child. Or add words and make shirts or anything else your imagination can dream up! These are two separate designs and fit into a 4x4 frame.